As I mentioned in the article Extending Google Maps API 3 with libraries a couple of weeks ago, you can add functionality to the Google Maps API by using libraries. One of these libraries are the Geometry Library. In this article I will show how you can use the function of that library to calculate distances and areas. I will also explain some additional navigation functions that you might find useful. Google Maps API 3 is streamlined to include just the core functionality needed to create basic maps. It’s architected that way too ensure that the API will load as fast as possible. It’s unnecessary for the browser to download and parse functionality that’s not needed. If, however, you need to use specific functionality such as being able to measure distances or display ads, you can get this additional functionality by including a library in the API. This article will describe how to do just that and what libraries that are currently available. The Google Maps API team recently added an eye catching new feature to the Google Maps API v3 which makes it possible to animate markers. This feature has been available in v2 for quite some time and occurs when you drag and drop a marker. It rises the marker up when you drag it and then bounces it into position when you drop it. The API team however, wasn’t satisfied with just adding what was available in v2. They also added a drop animation similar to the one found in Google Maps on the iPhone. It looks like the marker is being dropped into place from above and then ends with a small bounce. But they didn’t stop there either. They also added the ability to animate the markers at will. So now we can trigger the animation whenever we feel like it using the setAnimation() method of the Marker object. Here’s an update on how my book project is progressing. The good news is that I have signed a contract with Apress, so they’re going to publish it. I must say that I’m pretty excited about that. It was pretty awesome to see the book with my name on it on Amazon. Markers are the perfect way to put places of interest on a map and that’s probably one of the most used features in digital maps. 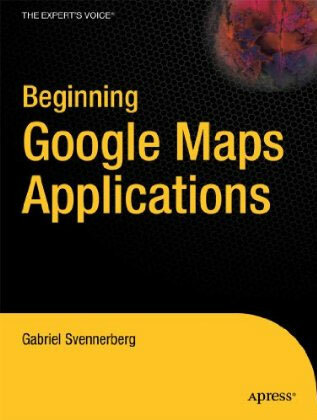 In this article, which is the third in a series about Google Maps API 3, I will show you how to use them in Google Maps API 3. It’s been a while since I last wrote on this blog and I thought I would get you up to speed why that is. The reason is that I’ve been occupied with writing a book about Google Maps. I haven’t written a book before so this is new territory for me. What I’ve noticed so far is that it progresses far slower than I predicted, but at least it progresses steadily even if slower than anticipated. I’ve taken a few weeks off of my regular work to devote to writing this book but this time won’t suffice, so there will probably be quite a few late nights and weekends of writing as well. This article explains how to dynamically toggle the visibility of markers in Google Maps as well as how to deal with an annoying bug that occurs when trying to do this while using an utility library, like the MarkerManager. 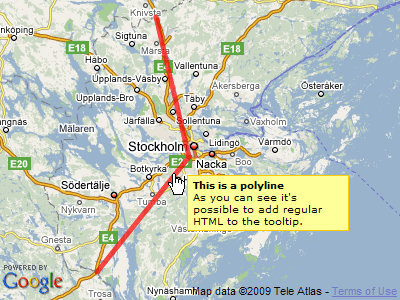 Yesterday a new version of the ever so popular Google Maps API was released. In the new version the focus has been on improving speed, especially on mobile devices. I’ve been fortunate enough to be part of the beta testing and has been able to provide feeback directly to the developers. So far I think they’ve done a great job, even if there’s still more work to be done. Markers is one of the core features in Google Maps and an effective way of displaying places on a map. In this article I will show you how to add a basic marker to a map and also how to add some interactivity to it.